Spring out of town and stay in a cabin! Property 5: Spring out of town and stay in a cabin! Property 6: Beautiful Cabin Suite with Kitchen, Fireplace, and Jacuzzi In Amish Country! Best of Smokies - Riverfront, Waterfalls, Unforgetable - Got It All - DEAL!! Property 8: Best of Smokies - Riverfront, Waterfalls, Unforgetable - Got It All - DEAL!! Property 9: Lakefront Luxury Lodge/Cabin, Exceptional value w/ Secluded Beach, GREAT views! Property 12: SKYE LODGE IN SPEARFISH CANYON. SPECTACULAR VIEWS AND LOCATION. NEW SUMMER CABIN ON TERRY PEAK APRIL SPECIAL 199 A NIGHT CLOSE TO DEADWOOD!!! Property 13: NEW SUMMER CABIN ON TERRY PEAK APRIL SPECIAL 199 A NIGHT CLOSE TO DEADWOOD!!! NEW SUMMER CABIN ON TERRY PEAK APRIL SPECIAL 199 A NIGHT CLOSE TO DEADWOOD !!! Property 15: NEW SUMMER CABIN ON TERRY PEAK APRIL SPECIAL 199 A NIGHT CLOSE TO DEADWOOD !!! Property 17: Lodge on Pine Creek, PA Grand Canyon. ATV & Winter Snowmobile Excellence! 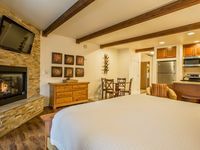 Property 18: Luxury Ozark Hideaway Lodge close Silver Dollar City. Peaceful New Mexican Charm. Natural Light. Hot Tub, Walk To Arroyo Seco! Property 20: Peaceful New Mexican Charm. Natural Light. Hot Tub, Walk To Arroyo Seco! Property 27: Blissful Paradise !! The River Lodge - The perfect gathering place for large groups! Property 29: The River Lodge - The perfect gathering place for large groups! Fishing Cabin & Rustic Get Away next to the nature conservancy! Property 33: Fishing Cabin & Rustic Get Away next to the nature conservancy! 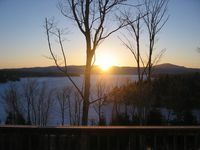 ** LOON COVE LODGE ** STUNNING 1st CONNECTICUT LAKE / MAGALLOWAY MOUNTAIN VIEWS! Property 37: ** LOON COVE LODGE ** STUNNING 1st CONNECTICUT LAKE / MAGALLOWAY MOUNTAIN VIEWS! Property 41: St. Lawrence River - Pike Lodge, right on the water! Experience the North... in Luxury - at an Affordable Price! Property 48: Experience the North... in Luxury - at an Affordable Price! Our experience staying at Loon Cove Lode was five stars plus. The lodge itself is well maintained, roomy, modern and exceptionally clean. The views are exceptional. Our hosts were friendly, informative and welcoming. The only problem we had was that we couldn't stay for another week. Loon Cove Lodge is WONDERFUL!! We're already going back! Rating Details: The property manager was very helpful. The vacation rental was spotless. I was very happy with the location. I was more than satisfied with the condition of the vacation rental. Overall, I recommend this vacation rental. Reviewer Comments: RnR was wonderful to work with, and made our stay a great experience. The place was as described, and close to just about everything you might want to do will in south lake Tahoe. Would stay again if available next time in Tahoe.